Notes: Rene and Bonnie Harrop are fly designers/flyfishing couple out of St. Anthony, Idaho . 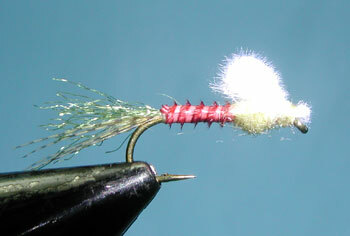 Living next to the Henry's Fork, they have refined many fly patterns that relate to mayfly hatches. 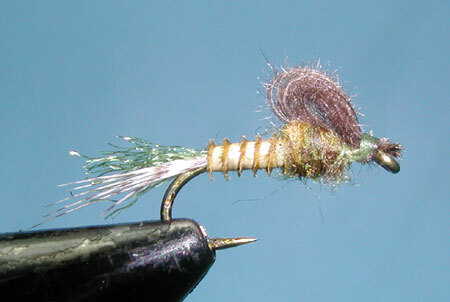 As the hatch progresses, the Harrop's have developed patterns that meet specific periods of the mayfly's development. 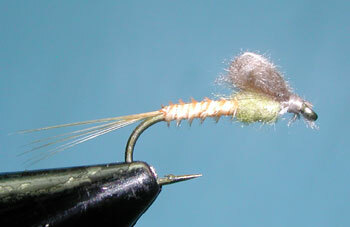 The Captive Dun represents an emerging mayfly which is stuck in the surface film and has not quite opened it's wings. 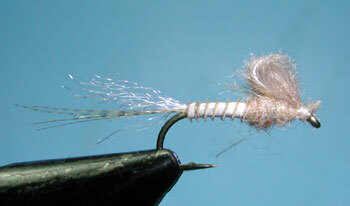 Using CDC for the budding wings, this material allows the fly to float in the surace film with it's shuck trailing below. The Harrop's also like to use Turkey Biots for the abdomen which can be tied to form gill-like appendages or a smooth body, depending on how you wrap the material. The material is also easily dyed for a large number of colorations. These colorations can represent the Pale Morning Duns, Blue Wing Olives, and Callibaetis. 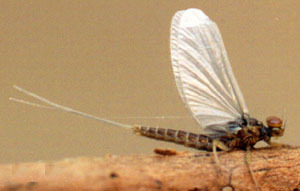 The Captive Dun is one pattern of a series that the Harrop's developed to mimic a specific development period of the mayfly. Utilizing both CDC and Biots, they have also developed the CDC Biot Thorax, CDC Biot Dun, CDC Biot Last Chance Cripple, CDC Biot Emerger, and CDC Para-spinner.